The Jaffa cake is a curious feast. Neither a cake or a biscuit but somewhere in between. They mainly sit in the supermarket on the biscuit shelf but also have a cake hybrid. All very confusing. You may be wondering why we're talking jaffa cakes in Sketches? Well it all stems from a recent conversation regarding biscuits. Jaffa cakes came into the conversation and a challenge of sorts was formed. 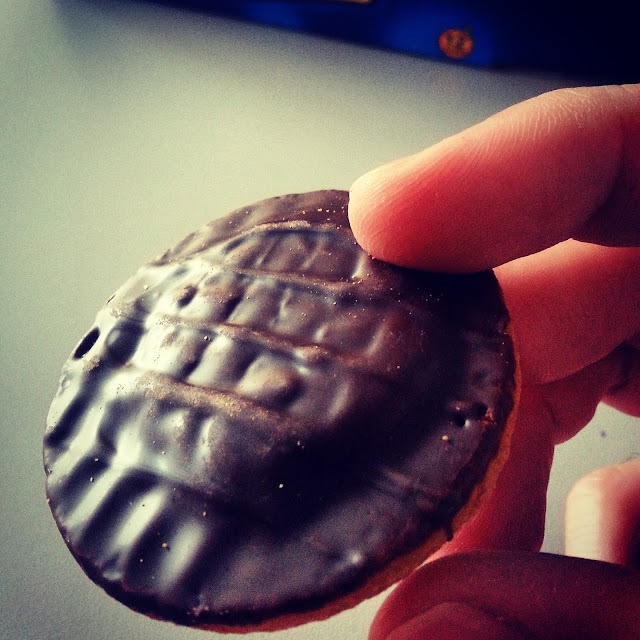 So with somewhat of a departure from the norm we're asking, how do you eat your Jaffa Cake? I would suggest there are four ways to eat a jaffa cake, please tell me of others if you can think of them. The following video, (yes we're giving that a go!) will explain more. So there we are, four ways to eat a jaffa cake, although I'm not so sure about the dunking option? So how about you? Infact do you get jaffa cakes in your country? If not, then we need to start a campaign to get them there. You'll love them. Anyone for a jaffa cake? *No jaffa cakes were harmed in the making of this video, just eaten!